On the 8th September, Angola experienced a true watershed moment since the end of the civil war in 2002: the VI Extraordinary Congress of the MPLA – the party which has ruled the country since its independence in 1975 – ended the last bastion of power of the long-serving ruler José Eduardo dos Santos, i.e. the ruling party’s presidency. This Extraordinary Congress had a single point on its agenda: the conclusion of the so-called “process of political transition” at the party leadership level. Thus, the current President of the Republic and the MPLA’s vice-president, João Lourenço, was elected as the MPLA’s new chairman with 98.5% of the votes from 2,448 delegates. The Congress and the vote for the party’s first new president since 1979 were broadcasted by the Angola Public Television (TPA). More than a party event, it was a national event charged with unprecedented political meaning. As discussed in a previous post, Angola’s presidential system comprises two main sources of power: 1) the president, who is no longer directly elected but rather is the number one name on the party or coalition’s winning list for the parliamentary elections, and 2) the ruling party. Very importantly, the President of the Republic as the head of the executive is subordinate to the party leadership. For a political culture based on a hegemonic logic of power, as is the case in Angola, it is only natural to say that these two sources of power must be controlled by a single person. However, the country’s recent political transition started first at the state level and then at the ruling party level. This caused a major novelty after the legislative elections of August 2017: a dual power situation, as João Lourenço was the new president of Angola but Dos Santos was still the MPLA’s president. The ruling party’s Extraordinary Congress put an end to this unique power situation. As a result the MPLA, as the ultimate source of power, guaranteed the “unconditional support” of the party militants for Lourenço and, consequently, for his presidential power. Moreover, the MPLA’s game of thrones became very clear in this Congress, especially in two aspects detailed below: the new leadership discourse and the post-Congress intraparty balance of power. The new president’s discourse was received with great enthusiasm by the Congress delegates. First of all, João Lourenço surprised everyone by presenting himself as the 5th president of the MPLA. Despite the film screening before his discourse on the party’s “exemplary transition” in which the history of the MPLA started only with Agostinho Neto (the MPLA’s 3rd president), Lourenço did not fail to mention the first two leaders who preceded Neto (Ilídio Machado and Mário Pinto de Andrade). Moreover, he asked for a big round of applause for all four party leaders before him. It was an important gesture, as the MPLA still lacks intraparty reconciliation with its dark history of violent episodes of dissent and member persecution within the party. Nevertheless, this break of silence regarding the party’s leadership in the past could just be a non-pioneering strategy for gaining broad sympathy and support, including from members who had been alienated by the party during the Neto and Dos Santos presidencies. Second was the reiteration of the anti-corruption discourse; Lourenço incited the MPLA to lead the fight (almost a crusade) against corruption, nepotism, flattery and impunity as the main public enemies. More importantly, this fight should take place even if it means that the first ones “to overthrow are militants or even high-ranking party leaders, who have committed crimes or who by their social behavior are tarnishing the party’s image.” This anti-corruption push within the party received an effusive round of applause among the delegates, which is a sign that the emphasis on “anti-corruption” continues to feed the new leader’s popularity. But this discourse against corruption took another tone when several governmental and party officials linked to Dos Santos began to be removed and, even more striking, brought to justice. More recently, Dos Santos’ son, José Filomeno dos Santos, and his business partner, Jean-Claude Bastos de Morais, were placed in preventive detention and charged with fraud over an alleged illegal transfer of $500m while Filomeno dos Santos was in charge of the country’s sovereign wealth fund, together with former Central Bank Governor Valter Filipe da Silva. Also, the Angolan authorities charged and arrested Norberto Garcia (former MPLA spokesman and director of the Technical Unit for Private Investment – UTIP), and Augusto Tomás (former Transport Minister) over corruption allegations. Both were removed from the MPLA’s Political Bureau. Regardless of the next developments in justice, we can say that these events are beneficial to Lourenço’s image in two ways: 1) the new leader is somehow honoring his promises of fighting corruption and impunity, leaving the opposition parties somewhat perplexed and the citizens optimistic about the “winds of change” and 2) the promotion of the notion that the untouchables are no longer untouchables; however, perhaps this only means a new configuration of the chessboard for the sake of Lourenço’s power. Moreover, these detentions are also a sign that the Judiciary is still not independent from the presidency. Following the Congress, the 5th Extraordinary Session of the Central Committee was chaired by the new party leader and elected the party vice president, general secretary and members of the Political Bureau (PB), the permanent governing body of the party. In other words, a new balance of power within the MPLA is in place that will support João Lourenço’s presidency. Under this new balance, we’ve seen the exit of almost half of the members of the former PB, including figures from the Dos Santos entourage, historical members, influential generals and provincial governors. It is worth mentioning that these provincial governors were also removed from office. Also, the new party vice president, Luísa Damião, a former journalist and MPLA MP since 2012, is the first woman to assume this important party position, which was well received by a predominantly female population. So, what we see is a strategy of “cleaning the house” and bringing allies into the PB, which is such an important MPLA body that it is responsible for the party and government programs, for the approval of the executive team and the party’s candidates for the presidency and national assembly, and for the ratification of the list of candidates for local government bodies. Is the MPLA’s case a trend for political change in African ruling parties? As is happening in other African liberation movements-turned governments, the Angolan historical ruling party has also been on a path of moral decay and deficit of democracy. 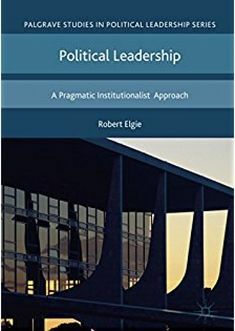 Some authors have discussed a wave of political change in some African ruling parties marked by some internal reforms and by a discourse of their leaders against corruption (including inside their own parties) for power re-consolidation purposes. The MPLA is no exception. Indeed, the anti-corruption discourse and its concrete punishment measures led by João Lourenço serve both internal and external purposes. Internally, it helps to reinforce the new president’s popularity levels and support by society, and it somehow empties the critical discourse from the opposition parties. Externally, it helps the country gain confidence and more credibility in order to receive investment from the west. We must not forget that Lourenço mentioned in his Congress discourse that corruption has caused “many damages” to the Angolan economy and has affected “the confidence of investors,” as it undermines “the reputation and credibility of the country.” Also, the new Angolan executive asked the IMF for assistance, in a time when this international institution seems to have made a comeback in Africa. The new leader with dual power is seeking dollars and loans to fulfill his major goal and it is a test to his presidency and legacy: the “economic miracle,” which is still based on the liberalization and competitiveness of the Angolan economy. The VI Extraordinary Congress of the MPLA ended the long and increasingly unpopular cycle of rule of Dos Santos. Although it was not an example of intraparty democracy, due to its single candidate election and the fact that the party still encourages the cult of the leader and the centralization of the decision and policy-making by a small clique, it also represented a strategy for refreshing the bases of the party, especially when its new leader’s fight against corruption has been received with such overall enthusiasm. When the MPLA emphasizes its “exemplary transition,” it fundamentally means a narrative of “peaceful” continuity mired in a violent past and the need to promote the idea of party cohesion around the new leader. The winds of continuity blow in the same strategy of changing the configuration of intraparty power to break with the former leader and his followers’ influence, using the popular anti-corruption and accountability discourse to consolidate, internally and externally, the power of the new presidency. In one year, Lourenço removed more than 200 people from state office (including governors, public business administrators and senior military leaders), and now he has been able to remove important members from the party office. But will Dos Santos and his followers stay quiet and still? 38.24% of them women and 36.05% youth. See Mabeko Tali, Jean-Michel (2018). Guerrilhas e Lutas Sociais. O MPLA perante Si Próprio (1960-1977). Lisbon: Mercado de Letras Editores. Concerning the national reconciliation process, João Lourenço also promised to return the deceased remains of Jonas Savimbi, the former UNITA leader killed during the civil war in 2002, to the main opposition party before the end of the year. The strategy of reunification of the “MPLA’s large family” was also used by Dos Santos, for instance during the electoral campaign of 1992. See article 80º of the MPLA statutes. See also Bereketeab, Redie (ed.) (2017). National Liberation Movements as Government in Africa. London: Routledge; Southall, Roger (2013). Liberation Movements in Power: Party & State in Southern Africa. Woodbridge, Suffolk: James Currey; Scottsville, South Africa: University of KwaZulu-Natal Press. Also, the first local elections are expected to be held in 2020; however, which form they should take is still under discussion. This entry was posted in Africa, Angola and tagged Angola on October 4, 2018 by Claudia Generoso de Almeida.